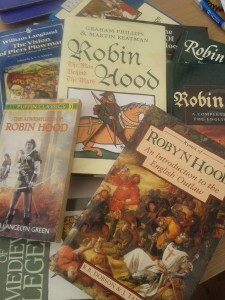 Regular readers of this blog will know that I adore anything to do with Robin Hood. Recently, thanks to the rebirth of Robin of Sherwood (see my previous blogs), I have met many other writers who share my interest. I couple of days ago I was fortunate enough to interview the lovely N.B.Dixon, and question her about her own outlaw obsession, and how she is interpreting it for a modern audience. So pull up a chair, rest those weary legs, and have a read. When did you first encounter Robin Hood as a character? I had a free period one Friday afternoon and I was buried in a corner of the school library. 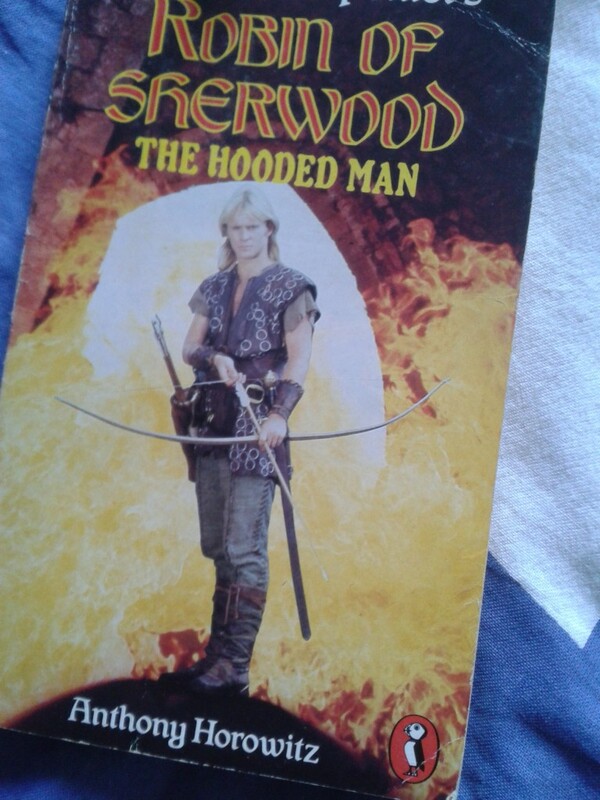 I had been given two tapes, one was a straightforward narration of the Robin Hood legend, the other, as I’ve only recently discovered, was an audio-book adaptation of one of the episodes of the TV series, Robin of Sherwood. I don’t remember why the librarian gave me these tapes to listen to, whether I’d expressed an interest in Robin Hood, or whether it was just something she thought I would like. I was a bookworm even in those days. However, my love of Robin Hood was born. It’s the only time I can ever remember being disappointed when I heard the school bell. How much historical research have you done on the subject of Robin Hood? visited the places in which the Robin Hood legend is set, most memorably, Sherwood Forest, and I’ve also handled a longbow and been put in the stocks, all in the name of research. 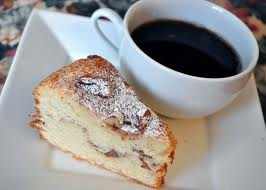 I tend to write in the morning, then break for lunch and write again in the afternoon. I take a longer break late afternoon and once dinner is over, I turn my attention to any editing I might have to do. More often than not I’m writing one book and editing another. The idea of adding to the Robin Hood legend excites me. There have been so many different interpretations of the story over the years. I wanted to find a balance between telling the legend people were familiar with, and placing my own stamp on it. For me, the most exciting thing about writing this series is the love interest for Robin. Outlaws Legacy is the story behind the legend of Robin Hood. It chronicles his life from his childhood onwards and tells the story beneath the surface legend we are all familiar with. On the surface, many readers will be familiar with the story; a young nobleman loses his land, becomes an outlaw, meets a rich heiress etc. My Robin however has a secret, and this secret is that he is in fact in love with another man. I wanted to portray someone who, on the outside, was the people’s champion, confident, brave, all the things a hero should be, but beneath this facade was a man with his own doubts and troubles, a human being who would make mistakes and discover things about himself. I’ve really enjoyed describing the romance as it has unfolded over the series. Currently, book 1, Heir of Locksley, is with my publisher and due for release late 2016/early 2017. I have just completed book 2 and there are still two more books to go in the series. These books have challenged me in ways I could never have expected and I’m only halfway through. I can’t wait to see what else I will encounter on this journey. Which is your favourite medieval outlaw apart from Robin Hood? I think that would have to be Fulk FitzWarin. His story is similar to that of Robin Hood in that his lands are stolen from him and he fights to get them back. His story is a bit of a cross between Robin Hood and King Arthur as he fights just as many dragons and monsters as he does people. Like Robin, his story also has a bittersweet ending as although he is able to reclaim what was stolen from him, he loses his site in the process as a punishment for the lives he has taken. I always found that story rather moving. Robin Hood of course, since I’m sure his hunting skills would come in very handy. I’d pick Sherlock Holmes so that I could have intelligent conversation, and I’d choose Harry Potter so that if anything came along to threaten me, he could wave his magic wand and incapacitate it somehow. Between the three of them, I think I’d be pretty safe. I’ve made up stories since I was a child. I loved to take characters from my favourite books or television programs and make up stories about them or continue existing stories. In fact, if I had ever published them, I’d be in flagrant breach of copyright. Away from all things literary, I am an enthusiastic theatre goer. I also play the piano for pleasure and I like to sing when I’m sure no one can hear me. I’m fond of cooking and long walks, and even now I’m still a self-confessed bookworm. Many thanks hun. Great ideas there- Do you buy the Richard I and Prince John era for Robin Hood’s ballads? The earliest Robin Hood ballads are set during the reign of Edward II, and according to the manor roles of Wakefield in Yorkshire, there was a man named Robert Hood who was outlawed fore rebelling against the king, and what’s more, he had a wife called Marian, so it’s possible. However, there are also candidates in the time of Richard I that could have been Robin Hood. I think it likely that all these men and all these stories have become so tangled together that they have become the legend of Robin Hood we know today.